This half-day Saturday conference outlines varying types of private practice models. It explores how private practice can thrive financially and cultivate physician-patient satisfaction in the context of emerging market trends and priorities. 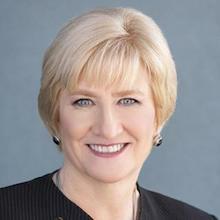 The keynote speaker is Barbara McAneny, MD, president of the AMA. This is an opportunity to learn the benefits and operational/economic characteristics of models such as “practice without walls,” direct primary care, integrative medical-behavioral family medicine, concierge, and traditional practice. The program covers the AMA’s Practice Improvement Strategies, alternative funding opportunities within Fee for Service, the benefits of physician autonomy in avoiding burnout, and more. It will be held at MMS headquarters, Waltham, and is designed for medical students and physicians of all specialties and career stages. A Firearm Injury Reduction Roundtable was hosted by the Society and its Committee on Preparedness on January 29. Representatives from academic medical centers, schools of public health, and medical schools across the Commonwealth gathered for an afternoon of sharing research and initiatives followed by small group discussion and brainstorming. A follow up survey to participants is providing additional information for the Society to consider moving forward. This year's annual meeting is scheduled to take place May 2-4 at the Seaport Hotel and World Trade Center in Boston. The MMS hotel deadline is Friday, March 22. Please visit www.massmed.org/am19reservations to make your reservations today. The annual meeting website will launch in late February/early March and will include online registration. We are pleased to announce that we are using a new registration system for the 2019 annual meeting. Please view this flyer to read more and please view www.massmed.org/annual2019 for important dates and deadlines and a schedule at a glance. The upcoming 2019 annual meeting is sure to be an exciting event and we hope you can join us. MMS committees form the backbone of the MMS, where the important work of the Society is accomplished. Do you have a special interest or desire to make a difference in organized medicine? Or, to assist in achieving the greater goals of the Society? Joining a committee is one way to get involved. MMS is currently seeking interested members. Applications are due March 1; more info and applications. "I'm heartbroken to know that my son felt he was a financial burden to us. Money over life is not the choice I want him to make." The American Academy of Pediatrics. Dedicated to the health of all children. Check out the most clicked-on stories from this week's MMS Media Watch. Sign up for daily Massachusetts media roundups by email. Some publications are fully accessible only to their subscribers. Heroin and fentanyl are not pot brownies. Promoters of supervised injection sites need to understand that, short of legislative reform, any effort to open an injection site in Massachusetts will be met with federal enforcement. Following marijuana legalization, some in the Commonwealth have come to view federal drug laws as a mere inconvenience, stubbornly antiquated rules that surely must yield to those with superior insight and the best of intentions. I urge advocates for these sites to focus on winning over Congress, not on convincing city leaders to (a) ignore federal law and then (b) hope federal authorities ignore it too. Torchiana, who leads Massachusetts General and Brigham & Women's hospitals, announced Monday night that he will resign as chief executive in April. He was appointed as CEO in February 2015. Prior to that, Torchiana was a chairman of the Massachusetts General Physicians Organization in 2003 after a career as a cardiothoracic surgeon at MGH. "I am fortunate to have worked at MGH and Partners for my entire professional life and to have been given the opportunity to lead us forward at the culmination of my career," Torchiana said in a statement to the Herald. "I look forward to retirement and have full confidence in the future of our organization which is filled with talented and dedicated people focused on our important mission to make healthcare better and take exceptional care of the patients that have placed their trust in our hands." Partners board chairman Scott Sperling told employees in a company-wide email Tuesday that "this is something that I know Torch has been contemplating for some time." Public health officials in Massachusetts are warning about a spike in HIV infections among people who inject illegal drugs in Boston. The state Department of Public Health (DPH) said in a letter to Boston health care providers Friday that six people have been newly diagnosed with the virus since Nov. 1. The department is urging providers to step up efforts to ask patients about risky behavior and to test them for HIV, which can lead to AIDS. The U.S. Centers for Disease Control and Prevention last year investigated after dozens of new cases were reported in Lawrence and Lowell. DPH says it has not had any new reports of HIV in those cities since November. Some street outreach workers dispute that claim. The state helped increase the availability of clean needles to curb the transmission of HIV. Emails obtained by The Associated Press under a public records request show that Nobel Prize winner Craig Mello of the University of Massachusetts learned about the pregnancy last April from He in a message titled "Success!" "I'm glad for you, but I'd rather not be kept in the loop on this," Mello replied. "You are risking the health of the child you are editing ... I just don't see why you are doing this. I wish your patient the best of luck for a healthy pregnancy."